This month we shall be meeting on the third Monday of the month, to avoid St Valentine’s Day on the second Monday. Our Research Group will not be meeting in February. The speaker at our next meeting will be Mark Perry-Nash, whose title will be “Daily Life in a Medieval Sussex Castle”. Mark is a professional, most entertaining, speaker. As usual the meeting will be held in the King’s Church Building, Brooks Road, and all are welcome. This postcard shows an Edwardian view from Cliffe Hill – with the colour added afterwards in the studio. In the foreground can be seen Cliffe church. Behind the railway from Lewes to Uckfield snakes across Malling Brooks on an embankment, crossing the Ouse near where Tesco is now. Behind the railway is the Phoenix Ironworks. Most of St John-sub-Castro church creeps in on the left edge of the picture. The fields of Landport Farm are below the rural Offham Road. Hill Road branches off from Offham Road, heading for Steere’s windmill on the skyline. Ian McClelland has kindly agreed to chair our Monday meetings in future. Paul Myles will be deputy chair. Source: Mark Antony Lower, ‘Hand-book for Lewes’ (1845, reissued with additions 1847), describing work on the site of Lewes Priory in creating the new Brighton-Lewes railway line. “To the eastward of the [Priory] church was the common burial ground of the convent. Upwards of 100 skeletons, deposited in cists slightly made of hewn chalk-stones, were exhumed. The practice of repeated interments in the same ground seems to have been eschewed in this establishment, and hence the cemetery must have been of large extent. Within a few feet of the eastern end of the church a most singular discovery was made. A circular pit, ten feet in diameter and eighteen feet deep, was found to be filled to above half its depth with human remains. The stench emitted from them was so great that the excavators (certainly none of the most squeamish of beings) ran away from the spot, sick and disgusted. For twenty four hours the hindmost of a train of wagons was constantly occupied with the contents of this horrible subterranean charnel-house. The bones were much crushed and broken. The number of bodies the pit had contained cannot be estimated with much precision; suffice it to say that it must have been many hundreds, and that the bones in the aggregate weighed many tons. “The Friars is so designated from the site having originally been occupied by a monastery of Grey Friars. The history of this establishment is very obscure; the name of the founder and the extent of its possessions being alike unknown. That it existed prior to the Battle of Lewes is proved by the fact that two of the friars belonging to it were zealously engaged in the good work of composing the differences between the king and the barons. 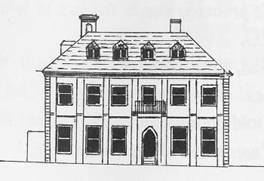 It shared the fate of all similar establishments in the reign of Henry VIII, who granted it to William Heydon and Hugh Stukely. It afterwards passed to the Keynes, and in 1631 belonged to John Shurley. From 1682 to 1803 it was possessed by the family of Pellatt, who alienated it at the latter date to Mr George Verrall. About 20 years since it was purchased by Mr N. Wimble, whose widow lately disposed of it to the Directors of the Brighton, Lewes and Hastings Railway Company. It is feared that ere long it will be pulled down to meet the exigencies of that undertaking. This information comes from an article by Charles E. Lee published in the January 1950 edition of The Railway Magazine. 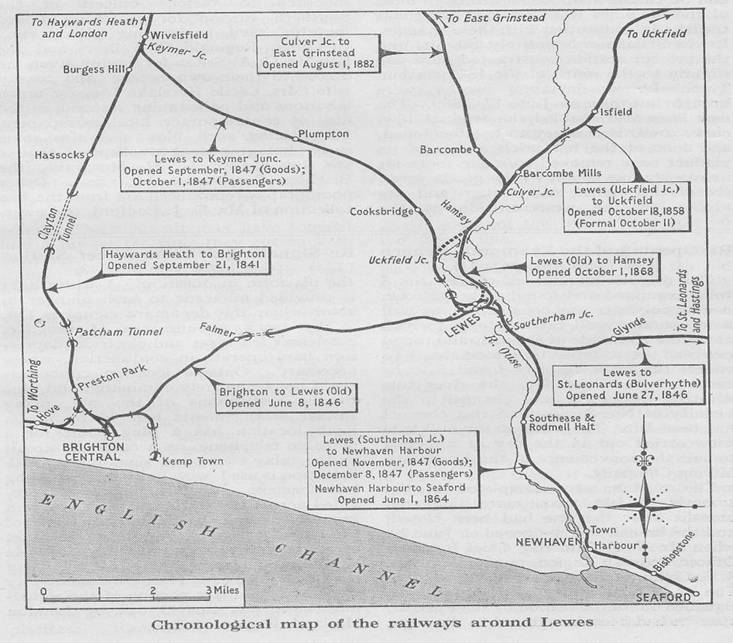 For a full reference and link to the article see the Lewes bibliography available on leweshistory.org.uk. The first Railway station was in Friars Walk, with separate platforms for through trains to Hastings nearby at Pinwell. 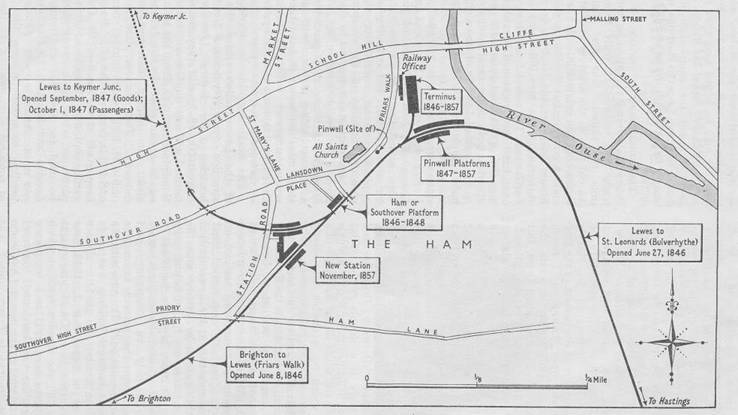 A separate halt was built below Lansdown Place, to serve Southover. This arrangement was never satisfactory, so in 1857 a new station was built at the bottom of St Mary’s Lane (Station Street) and the old stations were converted to goods traffic. The new station itself was still inadequate, and in 1889 there was another major reorganisation. 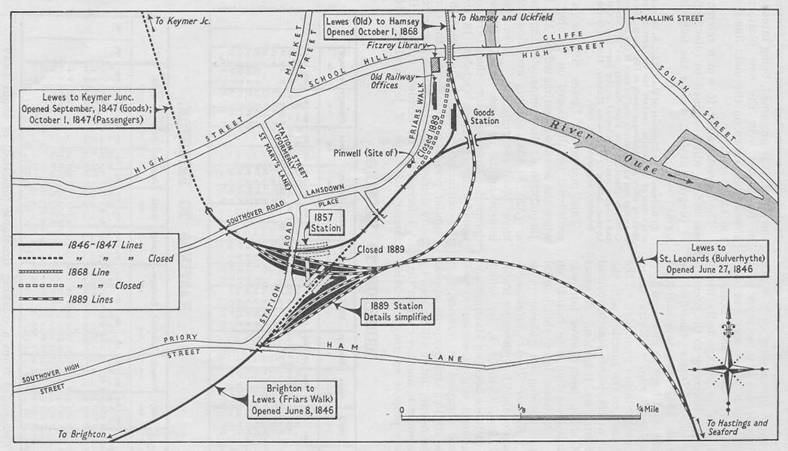 The 1857 station was completely rebuilt as the present Lewes station, and the Hastings and Uckfield lines were re-aligned. The main changes since then have been confined to changes in platform length and closures affecting the routes to Uckfield and East Grinstead, allowing the demolition of the bridge across the High Street and removal of the embankment across South Malling brooks. The railway cutting between Old Malling Farm and the Malling Estate remains. 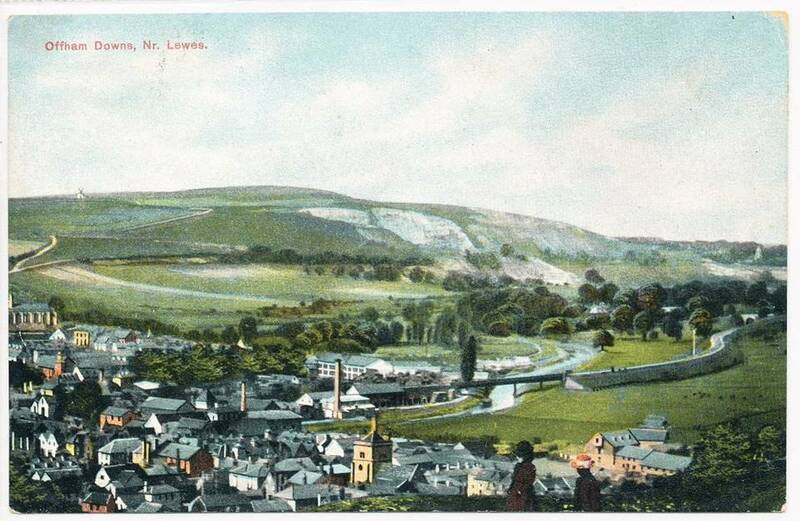 This entry was posted in Lewes, Local History, Social History, Transport History, Uncategorized and tagged Battle of Lewes, coaches, graves, Lewes Priory, Malling Brooks, Offham Downs, postcards, railway development, railway station, railways, The Friars. Bookmark the permalink.